Beautifully lined drawers are an upgrade in any kitchen or bathroom. 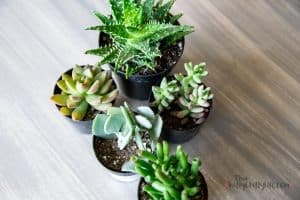 They add that extra little something to any dresser makeover. But if you have ever tried to line drawers, I don’t have to tell you how challenging it can be. Pinterest is full of different methods, some using messy glue, others fabric. 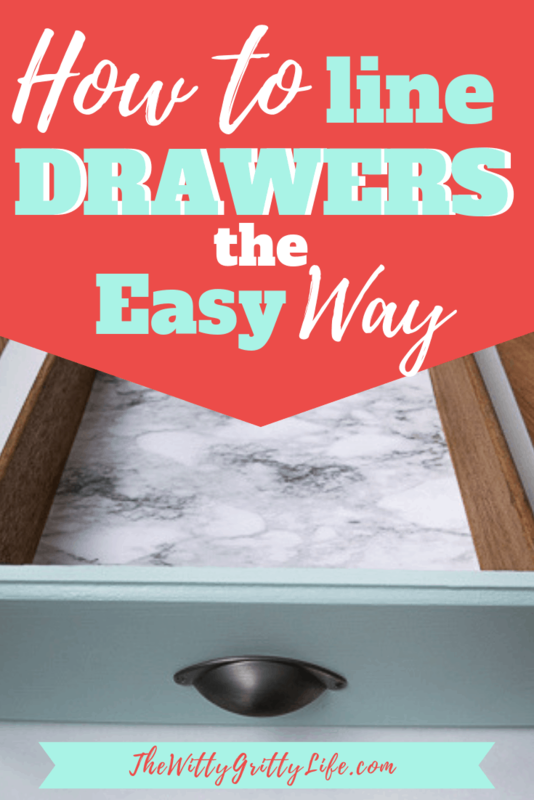 Have you wondered if there is an easy way to line drawers? You know, without accidentally wrapping yourself in the sticky paper or never getting the liner to fit just right? Self adhesive paper can be a real bear to work with and regular paper often won’t stay put. I was wondering the same thing. While fabric lined drawers look nice, I wasn’t up for that kind of effort or that level of commitment. My main goal was to find a way to achieve the look without the hassle. Good news! 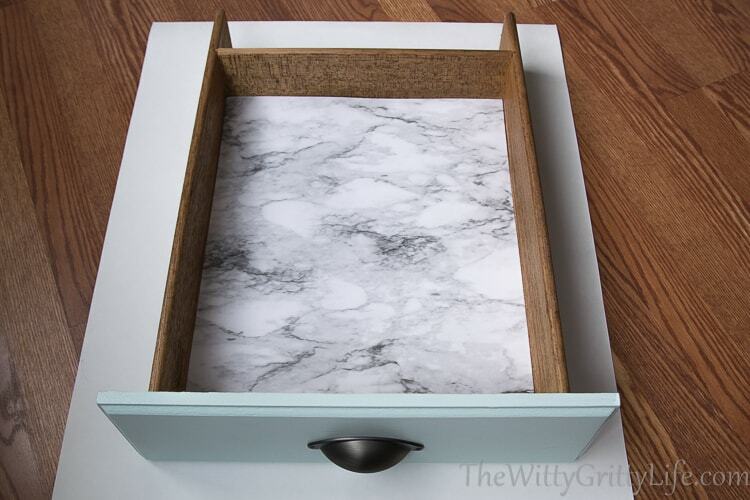 I have found a super easy way to create beautifully lined drawers that won’t have you pulling your hair out! Better yet, they are easy to remove, when the time comes to change things up. 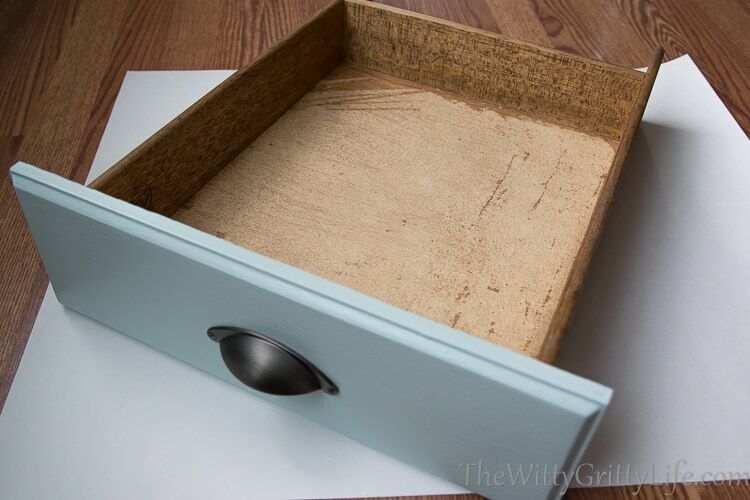 A perfect project for any renter tired of looking at grody kitchen drawers! Being able to remove liners with ease is a huge deal! If you have ever tried to peel adhesive paper that has been stuck on for decades, you know the pain. Our house was built in the late 60’s with all the lovely decor that was the rage back then. Most cabinets were still sporting the ugly 70’s stuff, you know, cutesy orange mushroom and kitchen utensil patterns? Back then they apparently used super glue to apply them to the drawer bottoms, because they were nearly impossible to scrape out. When I did manage to peel them off, part of the original drawer bottom came up as well. Not a nice look! Painting isn’t really an option, because of the nice layer of adhesive that is left behind once the vinyl paper is removed. Besides, I think the wood on the side looks nice, don’t you agree? After some trial and error, I found a way to create well fitting, removeable liners that can be wiped off as well! For other helpful tips, tutorials, recipes and printable art be sure to check out my FREE Resource Library! Sign up is on the bottom! This post contains affiliate links. 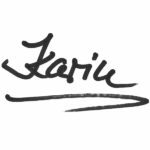 To read all the boring legal stuff, please click here. 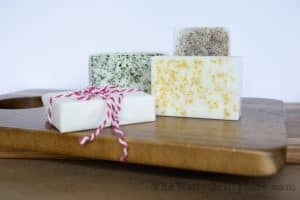 You can use leftover gift wrap or regular smooth paper for this project. But only for areas you don’t plan to wipe down, like dresser or desk drawers. You can see how I did that as part of my recent dresser makeover project. 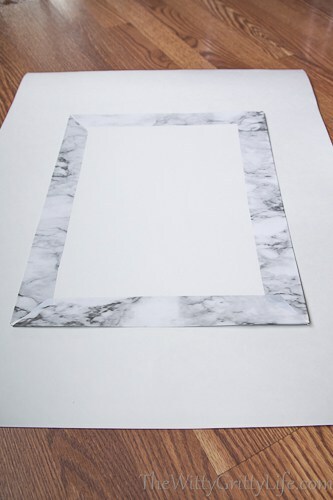 If you choose regular paper, you will also need a spray adhesive. When working with spray adhesive, be sure to do so in a well ventilated area. 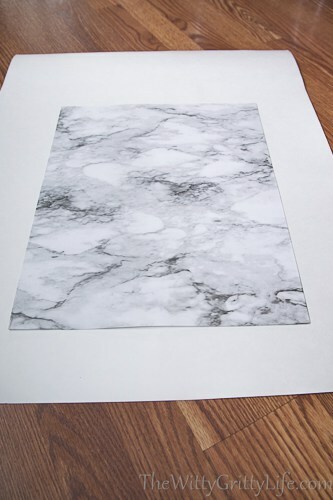 I opted for thin poster board, because it is cheap, sturdy, readily available and comes in large sizes. And unlike foam core board, it can easily found in multipacks, making it a very economical option. It’s really pretty straight forward. 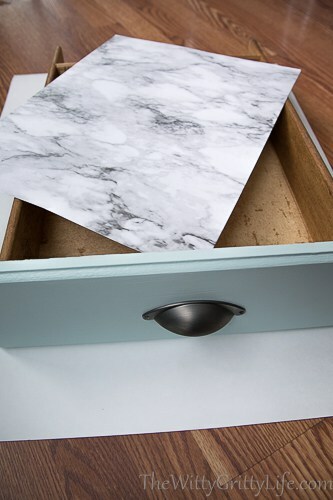 Measure the inside dimensions of each drawer, subtract about 1/8″ (2-3 mm) on each side to allow for the extra bulk added by the paper. You want the final result to fit well enough so it is easy to remove. It shouldn’t be so tight that the liner will buckle. It never hurts to do a “dry fit” inside the drawer before you cover the card board. Cutting is a snap, thanks to the grid lines found on nearly all adhesive shelf liners these days. 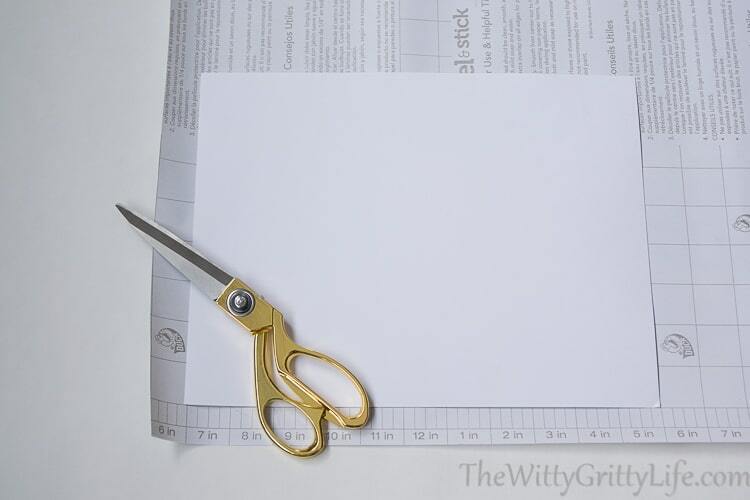 You’ll cut the poster board according to the measurements above. 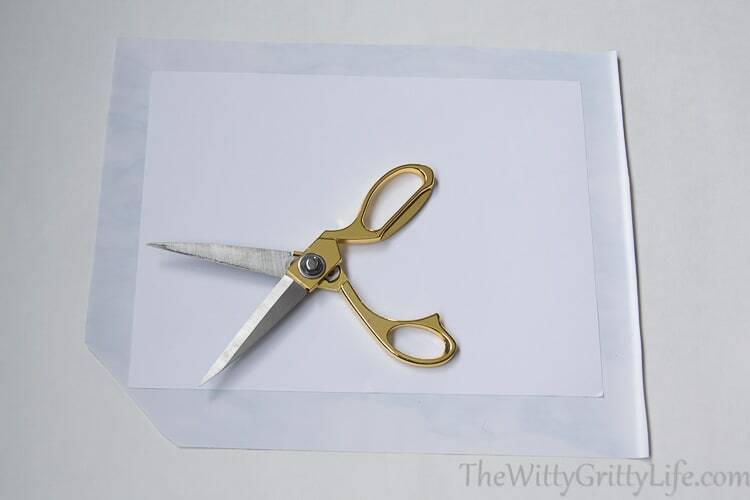 When cutting the liner, allow about 1″ (3 cm) extra on each side like so. It’s easiest to place the cardboard piece about an inch above the adhesive shelf liner – sticky side facing up. Make sure you have about 1 inch extra all the way around. Then drop the poster board gently into place. Run your hand over the top of the poster board to smooth it out and make sure there are no bubbles (I didn’t have an issue with that). 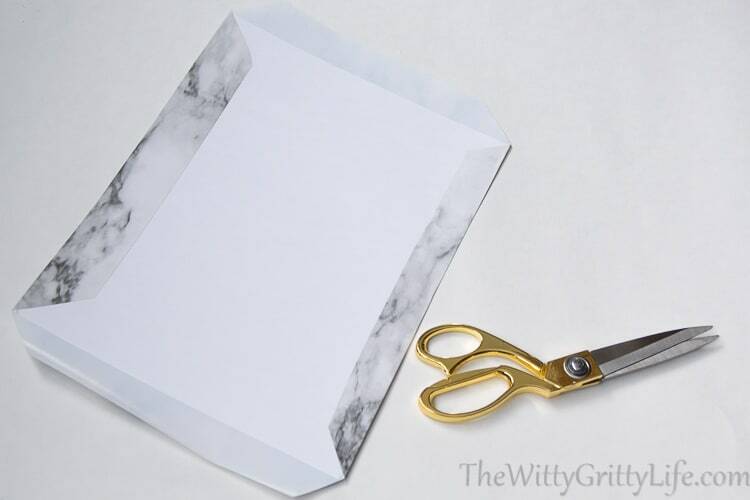 ∗If using regular paper, spray the back side of the paper evenly with the adhesive. Fold over each side piece, making sure they are well adhered. Flip over. You are nearly done already! 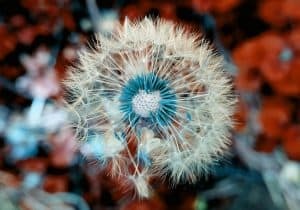 For a beautiful final result! See? How easy was that? Now I smile every time I open a drawer! And I am sure you will too! This drawer is actually from one of the original kitchen cabinets in our house! Doesn’t it look great all gussied up? The adhesive shelf liner is a snap to keep clean and thanks to this simple method, I can change them out whenever fancy strikes. 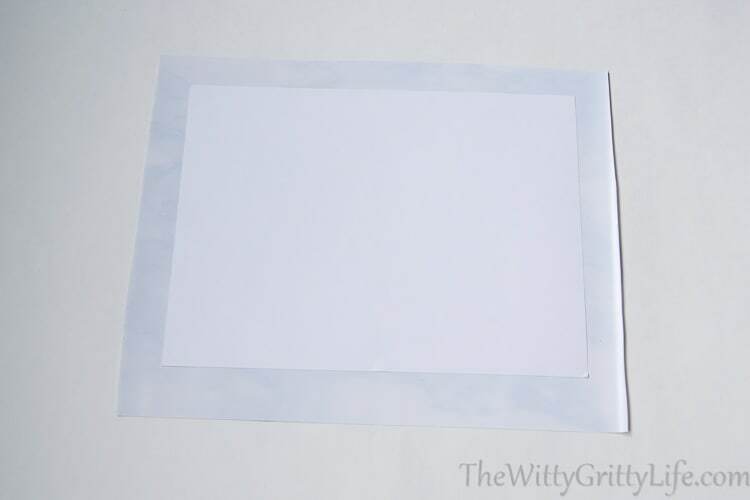 When covered on both sides in wipeable vinyl adhesive, these liners also make fantastic and affordable “refrigerator coasters”! I hope you’ll give this quick and easy method for lining shelves a try! Do share pictures if you do! Have a happy and productive weekend! Thanks! I tried too many times to get those liners to look good, but it never turned out quite right – until now! I love this!! I lined my drawers with rubber mats that weren’t supposed to slide but did. I’m definitely going to do this to my drawers! Thank you! Over the years I have tried it all and nothing worked and looked as well as I wanted! This method is easy, quick and looks fantastic! So easy to do, works well and looks great! An all around win in my book!